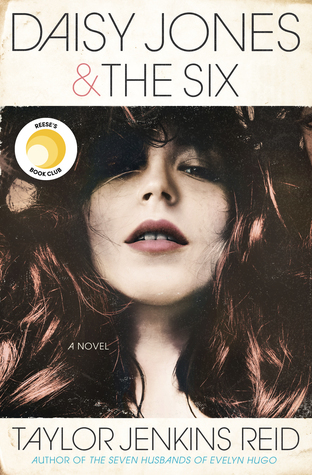 "A luminous young adult novel that evokes Judy Blume’s Forever for a new generation. Fans of Jenny Han and Stephanie Perkins are destined to fall for this story about how life and love are impossible to predict." 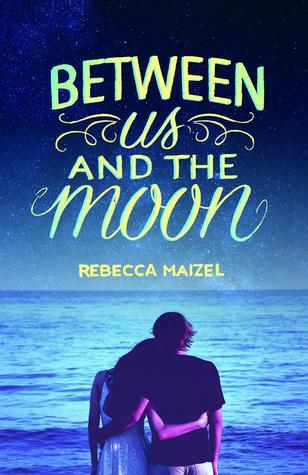 Thoughts: Going into BETWEEN US AND THE MOON, completely based on the cover and summary, I was expecting a light beach read with maybe a bit of conflict to spice things up. What I wasn't expecting to find were the amount of pure and raw emotions mixed in with deceit and heartache. With that said and done, this is the type of book that left me with mixed emotions. I've actually put off writing this week for a couple of weeks now. Quite frankly, the book left me feeling so angry and hurt that I needed some time just to think and let everything marinate. First off, I started out liking Sarah. After what happened with Tucker (in the first chapter no less! ), I felt a big sister need to just cheer for her and hope she has the best summer of her life. I loved that she was smart, organized, and so passionate about astronomy. I wish I had the drive she did whenever I was her age! In the beginning, Tucker mentions to Sarah that she watches things from afar rather than living life. This becomes a major theme in the book, self-discovery and trying to figure out who Sarah "Bean" really is. Now, this is where the story starts becoming a bit muddled for me. Instead of being herself, she attempts to transform herself into her sister. What would Scarlett do? She begins to test this theory on Andrew, a boy she meets who also happens to live in the beach town her family is visiting. Even though she's trying to be Scarlett, pieces of herself slip out without her realizing. Natural since no one can keep up a charade like that for very long, however, Andrew seems to love and fall for these moments of the real Sarah rather than "Scarlett-Sarah". She's his Star Girl. As things start becoming more serious with Andrew, the lies she fed him start eating at her. My complaint about this is, why didn't she blurt out the truth before things got so heavy? It killed me inside, but I'm not Sarah, so I can't identify with her. The only thing I can think of is that she was unhappy with her life and wanted to just live in this moment a bit longer. There was one scene in the book (you'll know the one once you read it) where I cringed and even almost shouted out-loud "TELL HIM!". She became very selfish and should've just told Andrew the truth, which is when I began to dislike her. I somewhat understood, but it doesn't make it okay. The conflict was resolved a handful of pages towards the end. This left me even more angry. It's kind of like being the passenger on a road trip, having the driver randomly stop somewhere, and exclaim it's over. What do you mean it's over? There's a part in the book where Sarah talks about the light of stars taking four years to reach us and this giving her hope. Please tell me this means there will be a sequel. I'm sorry, but I cannot imagine both Sarah and Andrew's story ending like this, even if it's realistic, even if it's not my story to tell. Please, Rebecca, for the love of all that is good in this word, write a sequel! If you decide to write a New Adult sequel, that's even better. Overall, while I had some issues with this novel (mainly with the main character), I couldn't help but devour the writing as well as swoon and fall for Andrew. He was simply the sweetest guy who has seen far too much pain in his life. That's mainly why I became so enraged with Sarah. All in all, I liked this book, but I would love it more if there's a sequel. I know, it's a sin to judge a book based on whether or not there will be follow-up, but I can't help it! Isn't it funny some books have you craving closure more than others? For now, I'll just mope and whine and hope for more. I'm with you, I would've thought this would be more of a lighthearted beach read. Interesting to hear that it's a little more intense, but I still want to give it a shot. Thanks for the review! I'm glad that the writing was really good in this book. I wasn't so sure that I'd want to check it out because it doesn't seem like something I'd like, but I've been enjoying contemporaries lately. Thanks for sharing your thoughts. Oh I hate when things are resolved too quickly at the very end! This is an informative post review. I am so pleased to get this post article and nice information. I was looking forward to get such a post which is very helpful to us. A big thank for posting this article in this website. Thanks admin!